Dimmers reduce energy consumption and extend the life of a bulb. They also set the mood in the evening to keep you relaxed or set the mood for a perfect movie in your room. LED bulbs don’t change colour as they dim but incandescent bulbs do change colour as they dim. LED bulbs just dim by reducing their brightness. When you make a LED bulb purchase, make sure they are dimmable and are compatible with your dimmer. There is a possibility that you may not have heard the concept of Colour Rendering Index. CRI is a factor to take into consideration when buying LED bulbs. A colour rendering index is a scale of 0 to 100 percent of how accurately a bulb is rendering colours when compared to a reference light source which is the sun. It is important to choose lighting that has higher CRI. Higher CRI leads to better colour portrayal at home. The sad news is LEDs don’t have good CRI but come close to incandescent bulbs. Kindly note that most LEDs do not have a CRI more than 90, but incandescent bulbs do have CRI equal to 100 just like the sun. LED bulbs require far less wattage to achieve the same lighting effect as incandescent bulbs. In the case of incandescent bulbs, the higher the wattage, the brighter the bulbs. To choose an LED bulb, you must consider the amount of lumens it produces. An LED that uses 60 watts cannot be compared to an incandescent bulb that uses 60 watts. 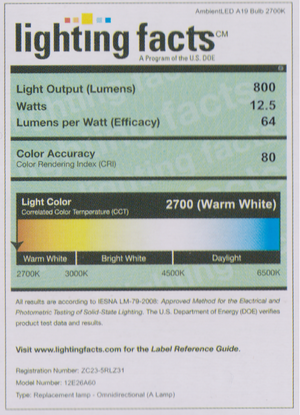 LEDs have a lower watt rating and companies have now started using lumens to rate bulbs. Colour temperature is the actual colour of the light that is produced. The higher the numbers, the whiter the light and the lower the numbers, the yellower the light. Most people choose warm light bulbs to create a cosy feeling in the house. Cool white 4000 k is used in commercial locations. Warm white 3000 k is the most popular choice today. The colour temperature has major impact on a room. Most living rooms and bedrooms use 2700k. 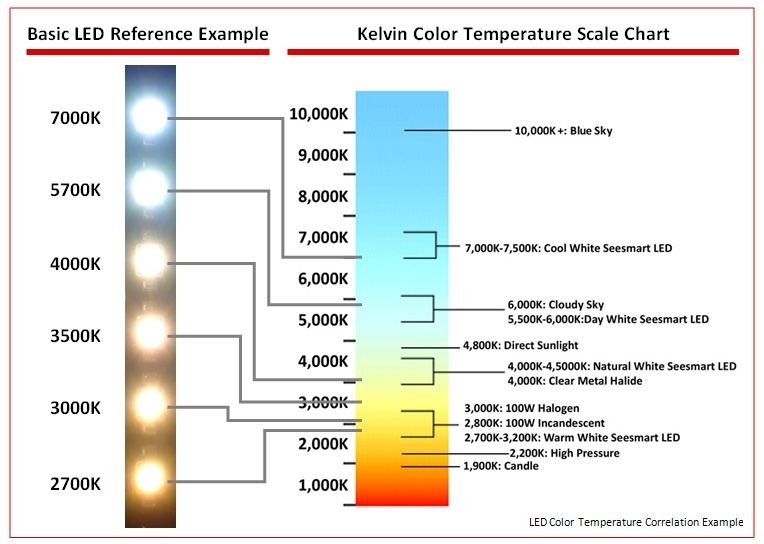 Correlated colour temperature is how the colour of the lights appears from a lamp measured in kelvins. Some people may have a problem with the price of LEDs. When LEDs become more available in the market, the prices also will come down. The price won’t be a problem for you if you consider LED bulbs as an investment rather than a burden. Most LEDs last up to 50000 hours while an incandescent lasts for just 1200 hours. Do you want to keep spending or just spend once in a while and buy LED bulbs which are technologically advanced? You need to answer that question for yourself.